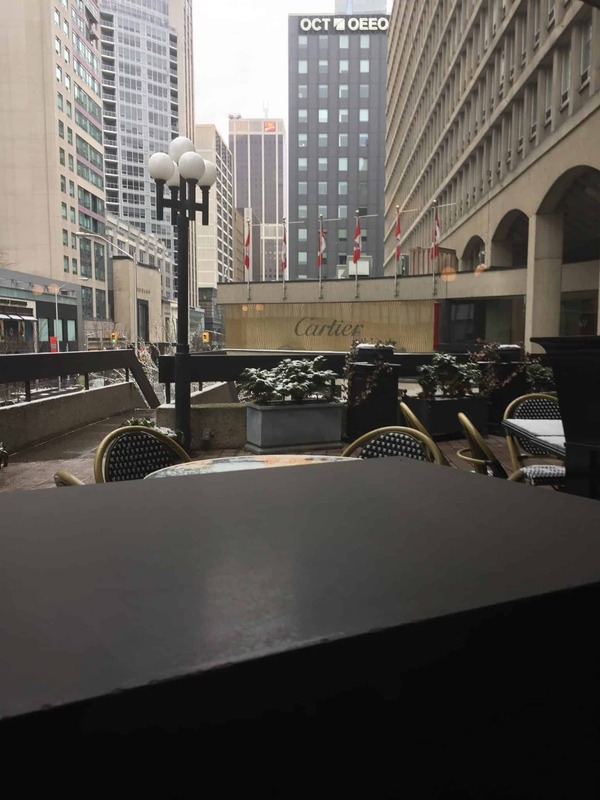 My husband and I like to venture out to different restaurants around Toronto. 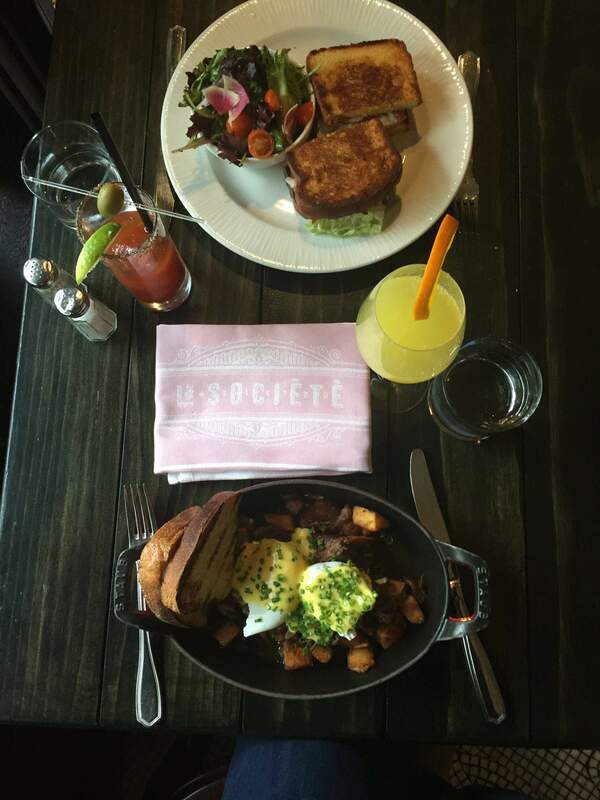 We decided to check out La Societe located in the Heart of Yorkville. Yorkville is Toronto’s most celebrated neighbourhood of style and culture offering a unique blend of designer boutiques , fashionable restaurants, plush hotels and world class galleries. There is a strip of high end retail stores and restaurants. 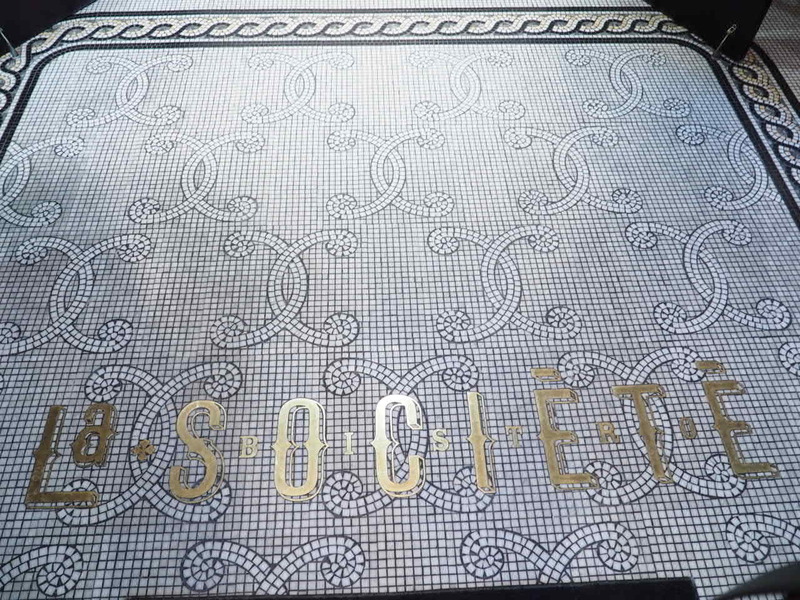 Louise Vuitton, Chanel, Prada, Gucci…..you get the point. 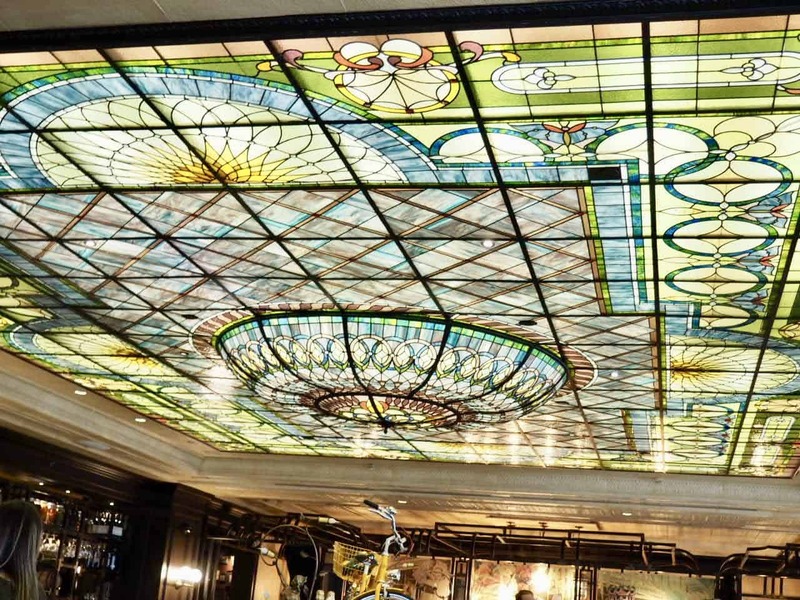 La Societe is a posh space with a huge stained-glass ceiling offering French bistro fare. This combination of braised short rib, poached eggs, hollandaise and pommes Lyonnaise was like a party in my mouth. The combination was delightful. The short ribs had great flavour and were extremely tender. 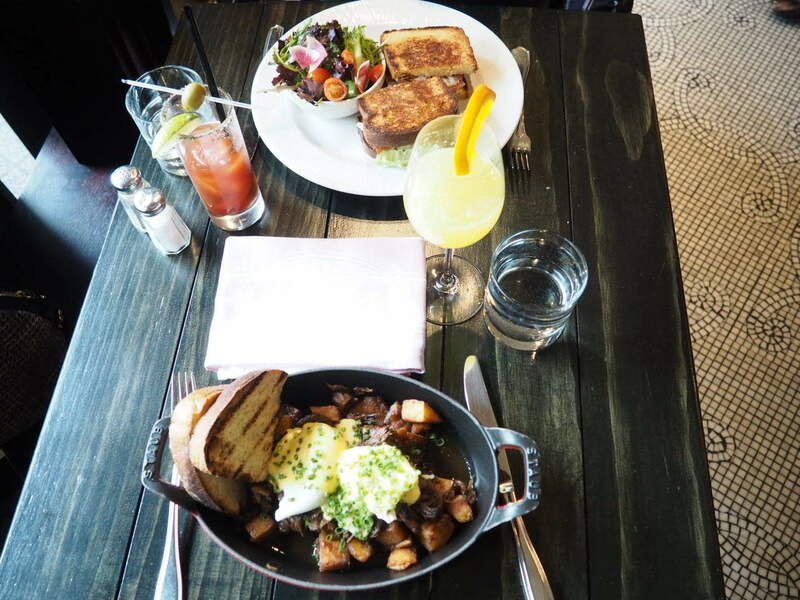 When you forked the poached egg and the egg yolk combined with the short rib, hollandaise sauce and pommes Lyonnaise, it is an amazing combination – I didn’t want it to end. Even though this was filling, I didn’t want to leave anything behind. My husband ordered the lobster B.L.T. I sampled some of the lobster B.L.T. and found it decadent. The lemon aioli rounded off the buttery richness of the lobster, topped with crispy bacon. This certainly was a treat at $29 for a B.L.T. but definitely worth the splurge. 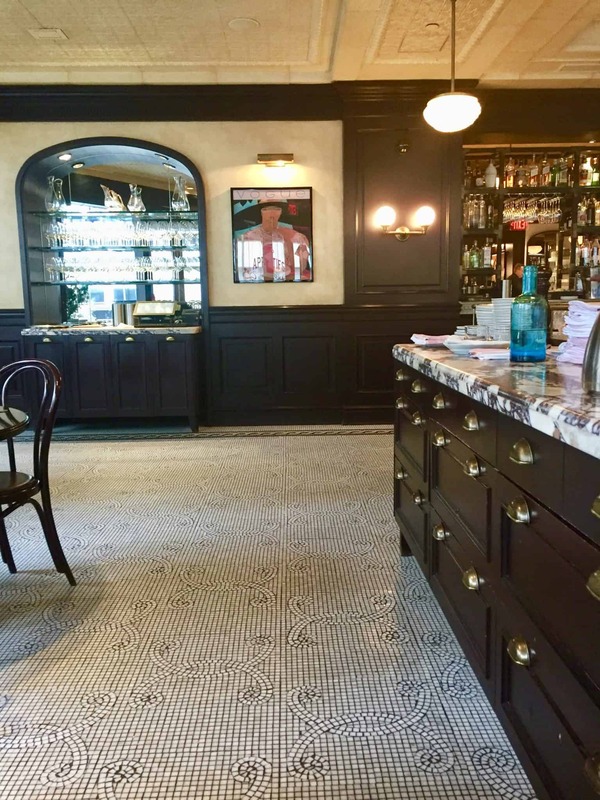 They also have traditional French bakery items on the menu such as croissants, Pain au Chocolate, and Beignets. They also have a fabulous dessert menu that includes Creme Brûlée, Chocolate Torte, Mille Feuille, Paris-Brest and more. We were too stuffed to order any dessert items. Have you ever tried a Lobster B.L.T.? Where is your favourite brunch spot?